Modern PPM solutions are more than “super project” tools. In fact, the right PPM solution can help an organization make faster and smarter investment decisions about the future shape of their portfolio and provide comprehensive IT governance capabilities – something that is vitally important in defining, delivering and managing a cloud-based infrastructure. 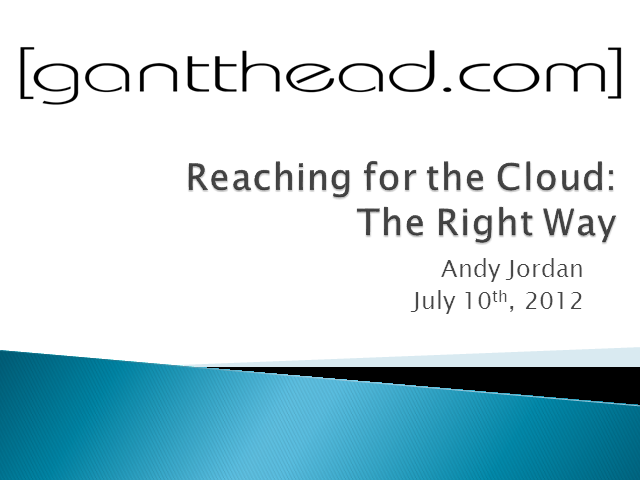 Attend this webcast to hear from Andy Jordan, PMP, Research Analyst, Gantthead as he discusses how PPM can provide a new way of looking at the business and while providing CIOs with the insight, control & flexibility to turn IT transformation ideas into real value-added business services.